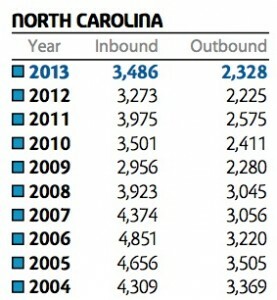 A recent study shows that North Carolina is the ONLY state in the country to have 10 straight years of more people moving into the state than leaving. This is from an article on BusinessInsider.com by Rob Wile published on Jan. 3, 2014 “You hear a lot about which states are best for business, or are doing the most to attract people. or have the most employment opportunities. 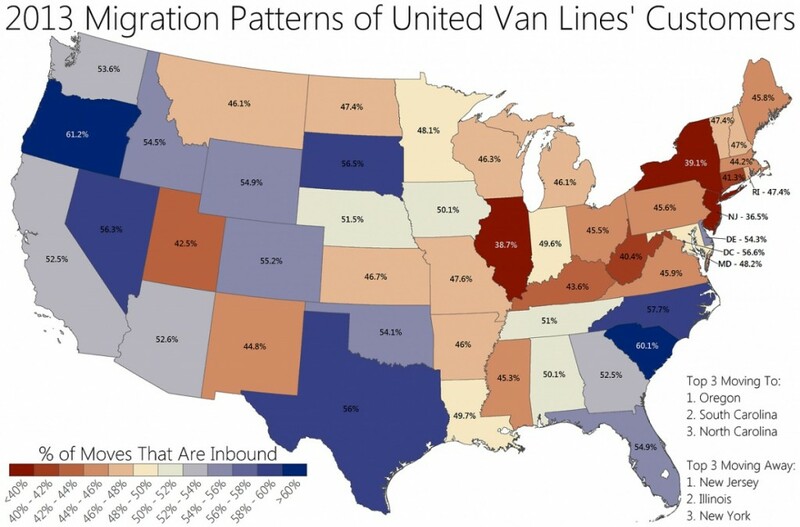 Each year Atlas Van Lines (a national moving company) publishes data showing how many moves were tallied from every state, and which ones saw net inflows or outflows of 55% or more, as a percentage of total moves. They have now published 10 years-worth of data, so we can see which has the longest streak of net inbound moves and who’s really winning the battle for population gains. And the winner is: North Carolina! Unfair Insurance Rate Increases…..Let Your Voice Be Heard!